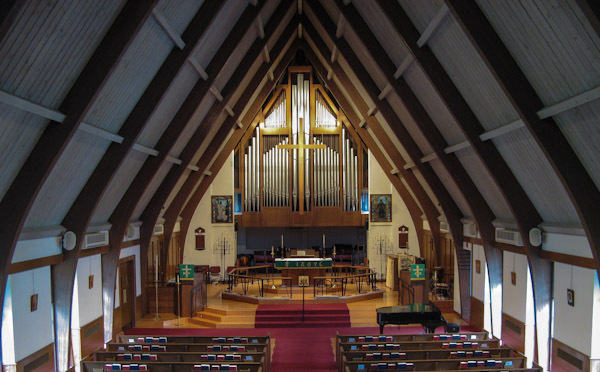 The Episcopal Church of the Advent in Kennett Square, PA called BEL.com to help improve the intelligibility of their audio system. It was originally thought by the client that new and better speakers were needed, but BEL.com had a different approach. The speakers were in good working condition, and new speakers were not the solution (although it would have been the more expensive one). Instead, BEL.com provided BSS Audio digital processing to fine tune the sound delivered to the speakers. The speakers were rewired with an additional amplifier to time align the different rows of speakers. Additionally, the new processing provides and easy to use laptop interface for volume adjustments and presets.